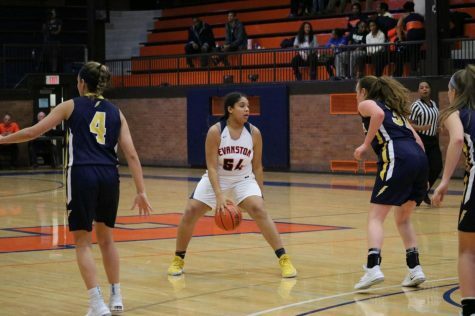 At the start of the 2016-17 season, Evanston switched Thanksgiving tournaments from the Battle of the Bridge tournament at Lane Tech and Depaul Prep to the Majkowski Classic at St. Viator. The move has proved to be a good one for the Kits. ETHS has won the tournament every year they have competed and they have played some of the state’s elite competition. This year was no different. 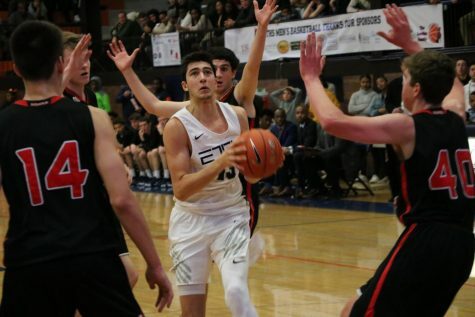 Evanston collected its second victory of the year as Louis Lesmond, the sophomore transfer from France, found his stride, tallying 16 points in the contest after only scoring four points in the first game of the year. 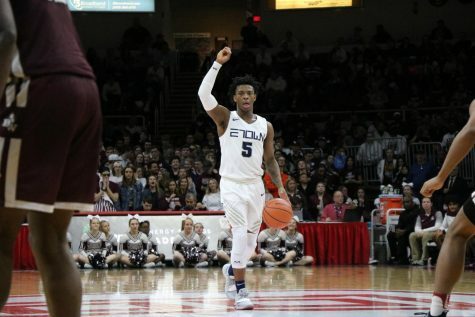 Evanston had balanced scoring as senior guards Ryan Bost and Lance Jones scored in double figures as well with 19 and 15 points, respectively. On defense, Evanston racked up a whopping 17 steals. The Prospect Knights came out ready to play and matched Evanston in the first quarter, playing to an 11-11 tie after one period. But then it was all Wildkits. ETHS ratcheted up the defensive pressure in the second quarter, a theme of the young season thus far, and went into halftime with a 32-17 lead. Up 59-29 after three quarters, the mercy rule, back this year in IHSA basketball, came into effect only stopping the clock in the final quarter for timeouts and injuries. Offensive balance was the story again for the Kits as no player scored more than 13 points. But Evanston had three players in double figures for the second straight game. 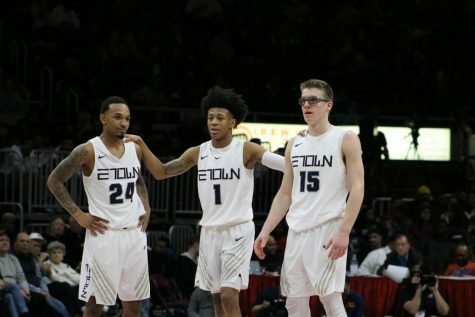 Jones led ETHS with 13 points, sophomore Jaylin Gibson added 11 and fellow senior guard Jaheim Holden scored 11. 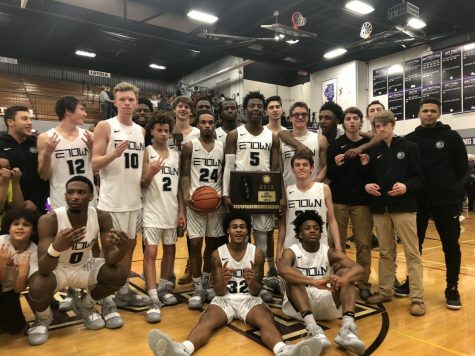 Evanston applied pressure to Prospect’s ball handlers all game and came up with a total of 21 turnovers. In the most anticipated game of the tournament, between the No. 2 ranked Wildkits and the No. 9 ranked Lions, according to Michael O’Brien’s Super 25 ,the teams did not disappoint. St. Viator’s two division 1 bound guards, Jeremiah Hernandez (Kent State) and Treyvon Calvin (Wright State) both lived up to the hype each scoring 22 points. 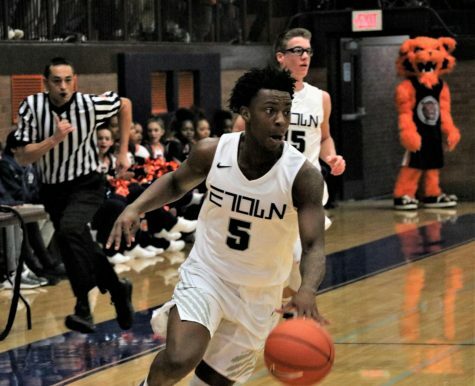 But five Evanston players scoring in double figures proved too much for the host Lions to handle. Gibson led the Kits with 17 points and 11 rebounds, Jones scored 15, and Bost, Holden and sophomore Blake Peters all tallied 12 points. After trailing by four after the first quarter, Evanston rallied to take a 33-31 lead into halftime and led 54-46 after the third quarter. In the final period, St. Viator cut the Kits’ lead to six points, but Evanston closed it out, coming away with a 72-63 victory. ETHS will go on the road to play GBS this Thursday at 7 pm, then will face No. 11 Uplift at the Chicago Elite Classic at Wintrust Arena on Saturday at 1:30 pm.